With the MLB trade deadline coming up, I thought I would take a look at three Norfolk Tides’ players who has the most trade value. I’m not saying these players will be traded because I have no inside information about anything the Orioles do. This is simply just a list of three players who have been performing really well at the Triple-A level who could help other major league teams either this season or next. Tyler Wilson has been a huge help for Norfolk’s injury-plagued rotation since his promotion from Double-A Bowie. Wilson was dominate at the Double-A level with a 10-5 record and a 3.72 ERA and continued it with Norfolk. In three starts with the Tides, Wilson has a 2-0 record with an ERA of 2.25. His combined strikeout to walk ratio between Bowie and Norfolk is 104-28. With the Tides, he has struck out 13 and walked six. Both his win-loss record and strikeout to walk ratio are impressive and the Orioles are rumored to be in the market to add another starting pitcher. Naturally, you are probably wondering why I put a starting pitcher at the top of my list. If you ask any Orioles fan who would be in the projected starting rotation next year they would probably all say, “Chris Tillman, Ubaldo Jiménez, Kevin Gausman, Dylan Bundy and either Wei-Yin Chen or Miguel González.” If someone was talking about the 2016 rotation they would replace either González or Chen with Tim Berry. No one even seemed to know about Tyler Wilson which makes him expendable. Every team is always looking to add starting pitching depth, including the Orioles. But the problem, a good one, the Orioles have is they do not seem to have any room for Tyler Wilson in the rotation. They, the Orioles front office, could have him pitch another year at Norfolk but then what? I believe Wilson’s trade value is very high right now and the Orioles could use him to improve their team for this season, not for the next. I know what you are thinking, “All season you have been writing about how you want Lombardozzi to be called up and play for the Orioles” and I do but for this article I think he is the second best Norfolk Tide that could be used for a trade. Off the top of your head, how many teams can you name that are in the market to add a veteran middle infielder to their team? I came up with about three. Though Lombardozzi is relatively a young veteran, a lot of teams would be happy to have him. At Triple-A Norfolk, Lombardozzi is hitting .271, has an on base percentage of .306 with 20 RBI. Though his primary position is second base he can also play left field, short stop and even third base. He is a versatile infliuder who has proven he can ht very well against major league pitching. Earlier this season with the Orioles, Lombardozzi was hitting .288 with a .329 slugging percentage. For his career, Lombardozzi has a .266 average, a .297 on base percentage and a slugging percentage of .341. The numbers aren’t hall-of-fame worthy but compared to some other second baseman in the league, those numbers would be an upgrade. Steve Clevenger is another player who I have continually voiced a very strong opinion about all season long. And as of right now Clevenger is not currently a Norfolk Tide but just hear me out on this one. 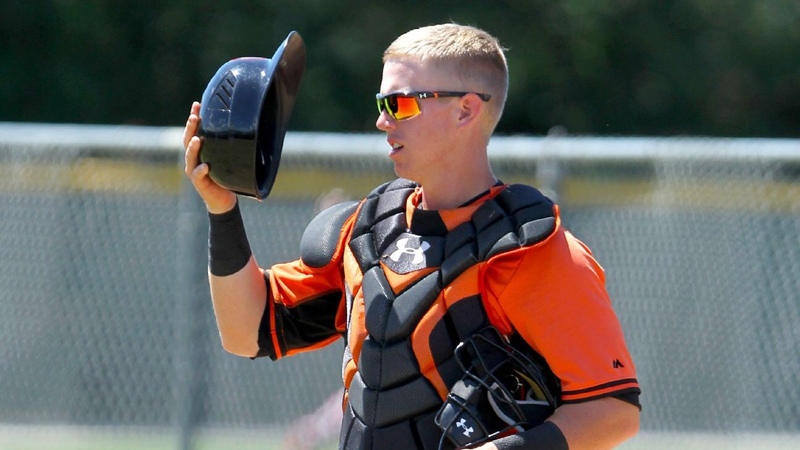 With the injury to Matt Wieters, the great defensive performance Caleb Joesph has put on and the acquisition of Nick Hundley, Clevenger does not have a place on the Orioles roster. Clevenger is also a very good defensive catcher who has shown that he can swing the bat just as well. With Norfolk, Clevenger is hitting .328 with 26 RBI and has a slugging percentage of .458. Needless to say, he has been one of the better Norfolk players all season long. With Baltimore Clevenger was hitting .240, had an on base percentage of .296 and hit eight doubles. The injury to St. Louis Cardinals’ catcher Yadier Molina made the Cardinals become interested in acquiring Nick Hundley from the Orioles, they were not interested. Back up catchers who can hit are hard to come by. Just about every NL team is in the playoff race. Many of them might need a backup catcher who knows how to handle a new pitching staff very fast and can occasionally get a game winning hit. Clevenger is that catcher. He is absolutely tearing it up at Norfolk and has proven that he can handle both the Orioles’ pitching staff and Norfolk’s always-changing one with ease. If the Orioles would trade him, and I’m not saying they will, they could get a few relief pitchers in return which could help them win a division.